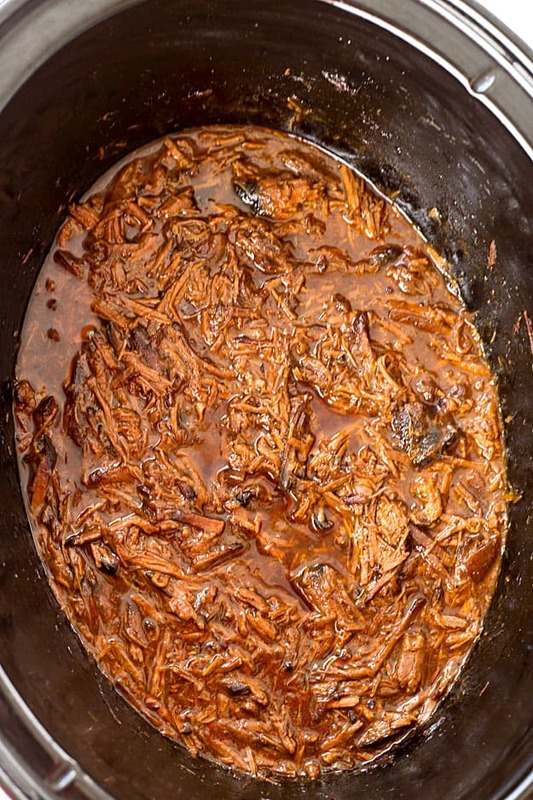 4-Ingredient Slow Cooker Dr. Pepper Pulled Pork – So easy with only five minutes or prep for the most delicious shredded pork! 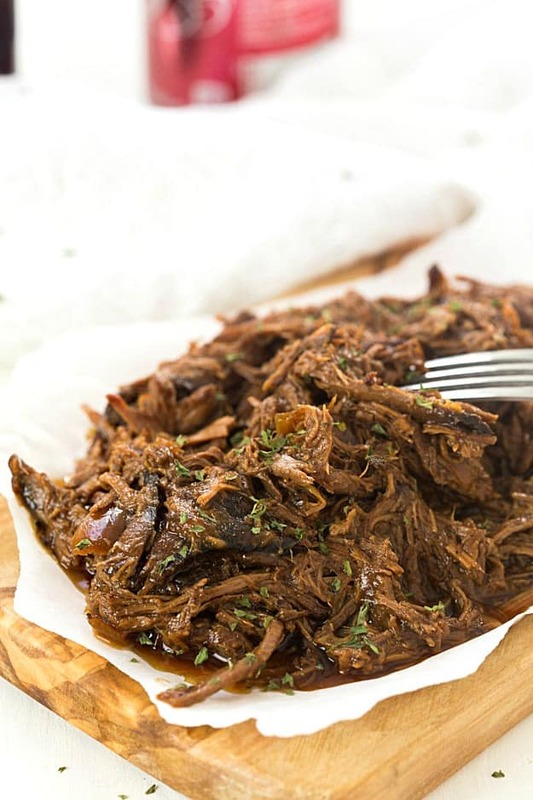 This recipe is ridiculously easy, the ultimate set and forget slow cooker recipe. The leftovers are perfect for tacos, sandwiches, nachos, to name a few of the obvious ones! A couple of months or maybe it was more than that, but my hubby came home and told me one of his co-workers made Dr. Pepper pulled pork. I instantly knew I had to try this and make it my way. Sure there are a couple of different ways to make it, but I know you are going to love this way. It’s easy, delicious, and is the juiciest shredded pork ever. Make sure you remember to have at least a 5-quart slow cooker. Mine is a 6-quart, and it had plenty of room. And yes, it is only four ingredients. I never count seasoning – salt and pepper, because all recipes should have that. Want to guess the four ingredients? Dr. Pepper, barbecue sauce, onions, and a pork roast! So easy and I should mention it’s cooked in the slow cooker. I may or may not licked my lips in my sleep because I cooked it long and slow overnight. It’s the best smell in the world with the sugars in the Dr. Pepper caramelizing. The crust of the pork is going to be caramelizing with delicious crunchy, browned sides from the sugar in the soda, with an unbelievable moist inside. And all it took was just five minutes to prep everything just to dump it into the slow cooker and allow it to do all the work for you. It’s perfect for sandwiches with coleslaw, with fajitas, in taquitos, tostadas, nachos (pulled pork nachos – yum! ), enchiladas, or anything you can imagine. It’s so versatile and can be used on or with anything you can think of. When it’s finished cooking, take two forks and shred the pork roast. It should fall apart immediately for you. Then mix the shredded pork into the juices and allow it to cook on high for 20 minutes. 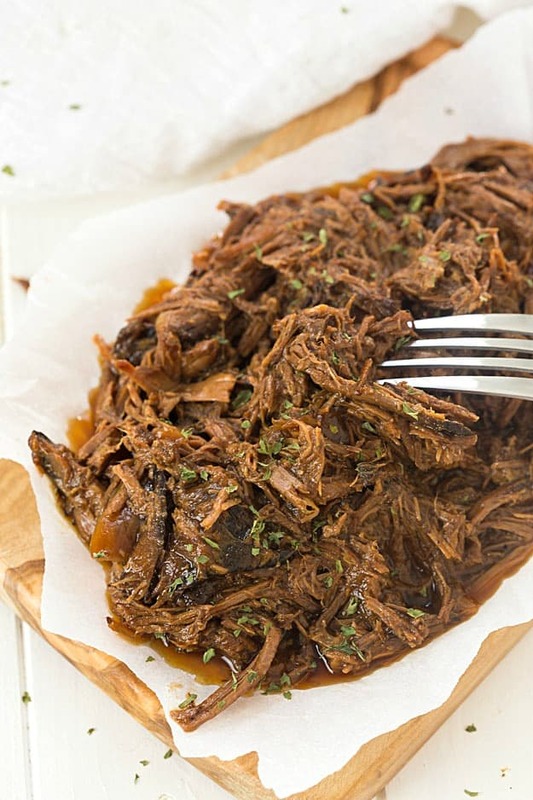 The amount of juice you will have in the slow cooker is the perfect amount to pour over the shredded pork. Want a little more add half of a can of Dr. Pepper. Too much juice, whisk in a little cornstarch while the chicken is cooking for an additional 20 minutes. 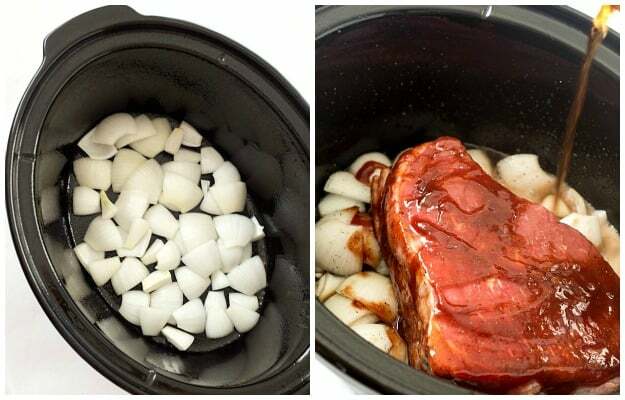 Place the onions in the bottom of the slow cooker. Season pork roast generously with salt and pepper, then coat in barbecue sauce. Place the pork shoulder roast on top of the onions, then pour in one can of Dr. Pepper. Cover and cook on low of 8 hours. When finished cooking, shred with two forks, mix the shredded pork with the juices and then cook for on high for 20 minutes. OMG, this is soooooo good! I wanted a simple pulled pork recipe and I got one that is incredibly tasty!! Thank you for sharing it!! You say to make sure to use at least a 5 quart slow cooker. Mine is a 4.5 one 🙁 Would it still work? I think it would still fit, Masha! Let me know if it doesn’t so I can add that into the notes of this recipe. Thanks!